The high-profile Japanese companies are forming a joint venture called Monet to develop businesses that will use driverless-car technology to offer new services, such as mobile convenience stores and delivery vehicles in which food is prepared en route. SoftBank (SFTBF) will own just over half of Monet, while Toyota (TM) will hold the rest. The new company's name isn't a reference to Claude Monet, the famous French painter, but rather a shortened version of the words "mobility network." Toyota President Akio Toyoda and SoftBank CEO Masayoshi Son attended the announcement of the project Thursday in Tokyo, a rare joint appearance by the heads of two of Japan's biggest global companies. Toyota first approached SoftBank with the idea of creating a Japanese alliance to try to catch up with global rivals that are developing autonomous driving tech. Around the world, top carmakers and tech companies like Google's parent, Alphabet (GOOGL), and China's Baidu (BIDU) are pouring resources into self-driving vehicles. Driverless vehicles have the potential to cause huge disruption in the auto industry and are also likely to transform the ride-hailing business. 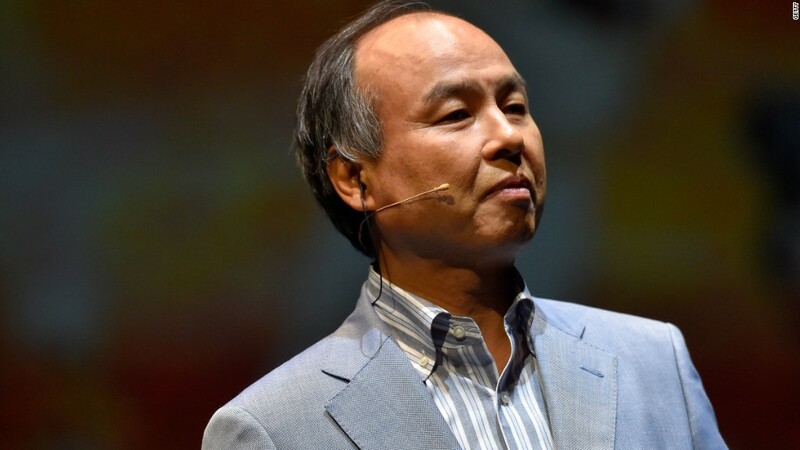 Son, SoftBank's billionaire founder, presides over a sprawling empire of artificial intelligence companies, internet businesses and ride-hailing startups, which can collect huge amounts of data on traffic patterns, passengers' requests and other transportation trends. The new venture taps into SoftBank's advantages in tech and data, and Toyota's vehicle-manufacturing expertise. Its aims include developing ways to tackle problems created by Japan's rapidly aging society and shrinking workforce. Over the next decade, Monet plans to roll out services like self-driving buses that can drive the elderly to grocery stores, hospital shuttles where medical exams can be done on board, and mobile offices. It will focus initially on Japan with a view to expanding globally. SoftBank has already put money into autonomous driving. Its $100 billion tech-focused Vision Fund committed $2.3 billion to General Motors' self-driving car unit GM Cruise earlier this year. On Wednesday, another top Japanese company, Honda (HMC), said it would also invest $2.8 billion in GM Cruise. Toyota has started pumping resources into driverless cars. It set up a new company in March dedicated to the research and development of self-driving vehicles, with plans to invest $2.8 billion to develop a commercially viable autonomous car. Both SoftBank and Toyota have invested in or partnered with some of the world's biggest ride-hailing startups including Uber, China's Didi Chuxing and Singapore-based Grab. The new SoftBank-Toyota venture shows how relations between automakers and tech companies have shifted. Twenty years ago, Son approached Toyota with the idea of connecting the company's Japanese dealerships on the internet. But Toyoda turned him down. 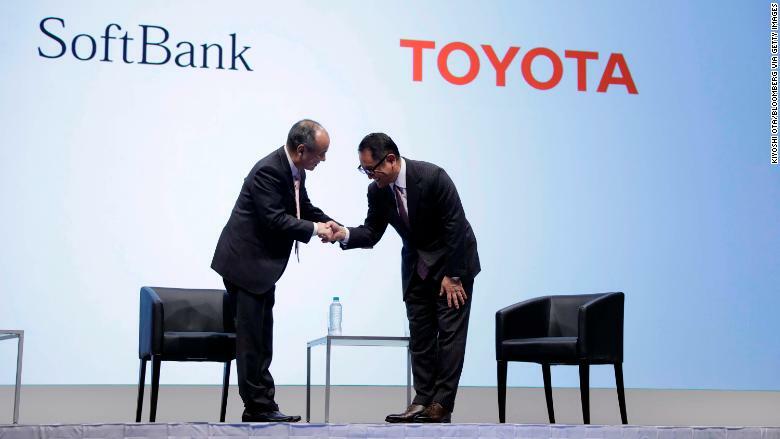 Back then, Son said, SoftBank was a small company reaching out to the "giant rock" of Toyota. Today, it's the carmaker that's asking him for help. -- CNN's Yoko Wakatsuki contributed to this report.